Juicy, creamy and crunchy. These toasty tortillas are loaded with lamb meatballs and peppers and topped off with lashings of cool sour cream and hot salsa. Throw the mince, spring onions, coriander and the Roasted Tomato & Pepper Fajita Spice Mix in a large bowl. Mix together and then shape into 40 mini meatballs. Thread the meatballs and peppers onto skewers and get them on the grill or barbecue for 3-4 minutes each side. Then remove the skewers. Meanwhile, mix the sour cream together with the mint and cayenne pepper, until it’s nice and tasty. 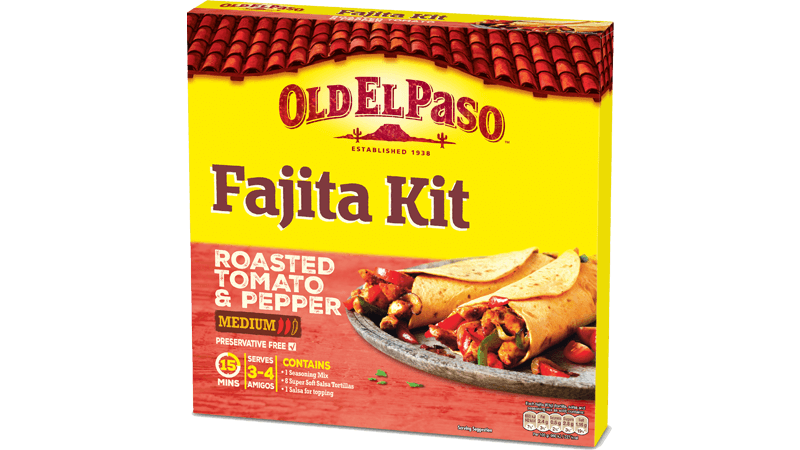 Warm the Soft Salsa Tortillas, following the instructions on the pack, or cook them on the barbecue or griddle pan for 20-30 seconds each side. Remove the meatballs from the skewers, grab the sour cream mix and salsa for the side, lay it all out and get everyone involved. 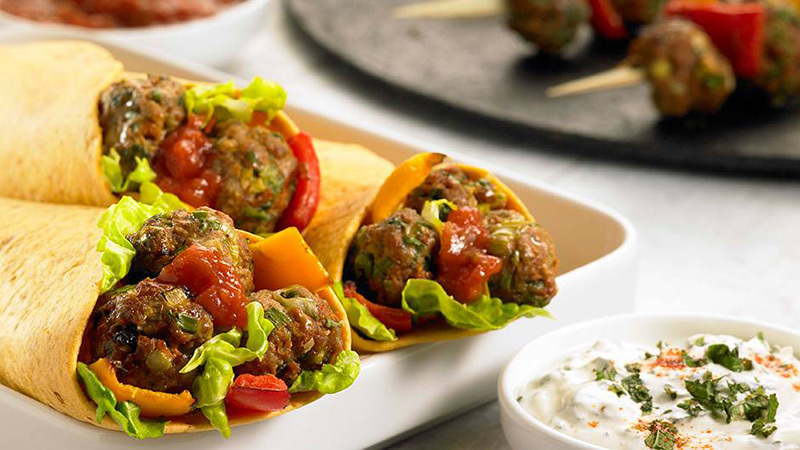 Grab a toasty tortilla and throw on some lettuce, peppers and 5 meatballs. Spoon over the Roasted Tomato & Pepper Salsa and sour cream and roll up into a proper Mexican fajita.